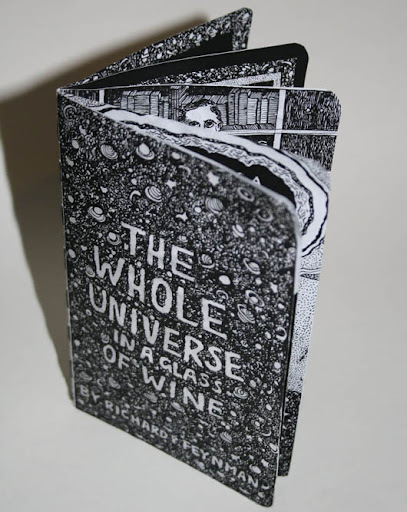 A poet once said, "The whole universe is in a glass of wine." We will probably never know in what sense he said that, for poets do not write to be understood. But it is true that if we look in glass of wine closely enough we see the entire universe. There are the things of physics: the twisting liquid which evaporates depending on the wind and weather, the reflections in the glass, and our imagination adds the atoms. The glass is a distillation of the earth’s rocks, and in its composition we see the secrets of the universe’s age, and the evolution of the stars. What strange array of chemicals are in the wine? How did they come to be? There are the ferments, the enzymes, the substrates, and the products. There in wine is found the great generalization: all life is fermentation. Nobody can discover the chemistry of wine without discovering the cause of much disease. How vivid is the claret, pressing its existence into the consciousness that watches it! If in our small minds, for some convenience, divide this glass of wine, this universe, into parts - physics, biology, geology, astronomy, psychology, and so on - remember that nature does not know it! So let us put it all back together, not forgetting ultimately what it is for. Let us give one more final pleasure: drink it and forget it all! I published this post some years ago (archived version), but for unilateral decision of the online publisher, it is deleted, so I decide to recover it. Neural network is one of the most powered method to analize data. It can be use in most research subject, for example in astronomy: in this case, we can use NNs to examine astronomical images or also the red shift effect. For example, in 2003 Jorge Núñez (Universitad de Barcelona) and Jorge Llacer (EC Engineering Consultants LLC) published a paper(1) in which they describe the develop of an algorithm to study astronomical image segmentation that uses a self-organizing neural network as basis. 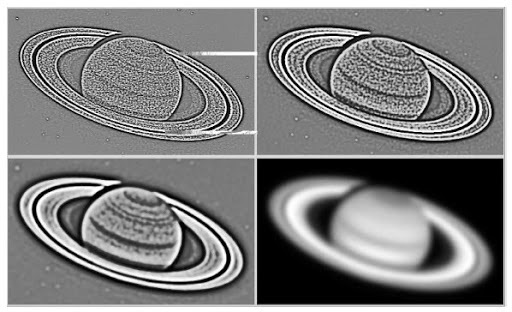 In their work, the scientists examine the separation between some stars and also a Saturn's image: the alghoritm seems quite robust against noise and fragmentation. In the same year, a group of italian astronomers published a review of the models used in astronomy and examined some data used by AstroNeural collaboration. Finally in 2004 a collaboration between researchers in Italy, Germany and France perform an application of NNs to redshift calculations(3). Now you can quest: What is a neural network? I published this post some years ago (archived version), but for unilateral decision of the online publisher, it is deleted, so I decide to recover it now. We all known the story of the little green men: in 1967 Jocelyn Bell and Antony Hewish discovered a strange, regular cosmic signal, a periodic bep. They consulted Fred Hoyle, astronomers and sci-fi writer, and he understood that the signal was emitted by a neutrons' star, a pulsar. 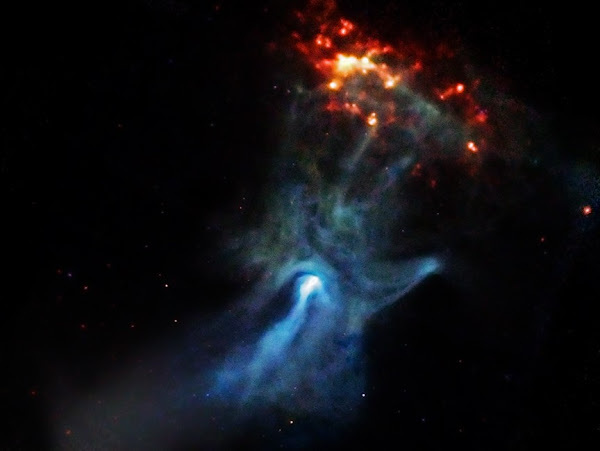 An italian research team, composed by Matteo Luca Ruggiero, Emiliano Capolongo, Angelo Tartaglia, published the following paper, Pulsars as celestial beacons to detect the motion of the Earth (arXiv). In their paper, researchers propose to apply some relativistic mathematical tools to calculate Earth position using pulsars signals.